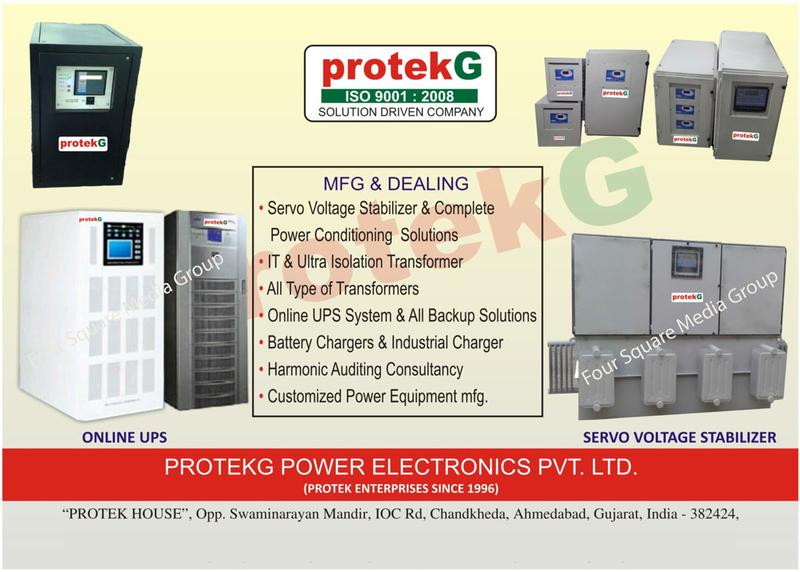 ProtekG Power Electronics Pvt. Ltd.
UPS, Servo Voltage Regulators, Transformers, DT And AVR, CVT, AC Power Supply, AC Power Supplies, DC Power Supply, DC Power Supplies, Inverters, Power Electronic Products, Servo Voltage Stabilizer, Power Conditioning Solutions, IT Isolation Transformer, Ultra Isolation Transformer, Online UPS, Backup Solution, Battery Chargers, Industrial Chargers, Harmonic Auditing Consultancy Services, Power Equipments as an active Manufacturer, Supplier, Dealer, Distributor, Trader and Seller etc. (*Importer/Exporter/Service Provider).